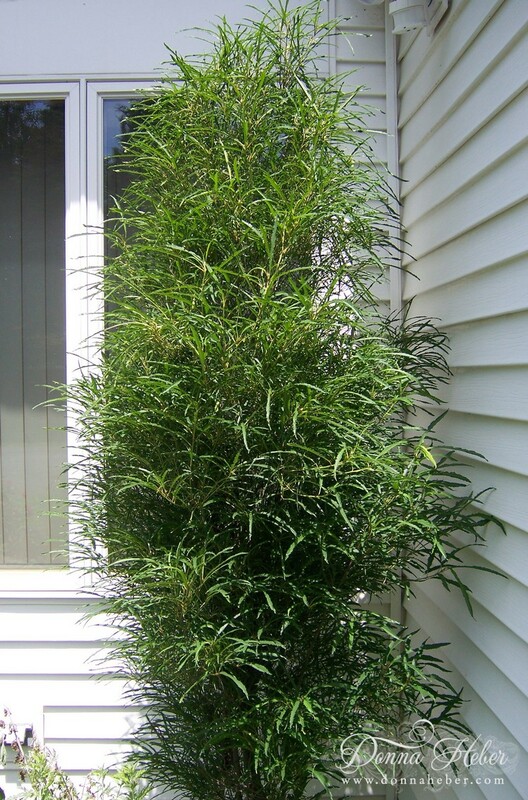 This Buckthorn (Rhamnus Frangula Fine Line) is in the garden next to my back door and has airy, fern-like foliage. 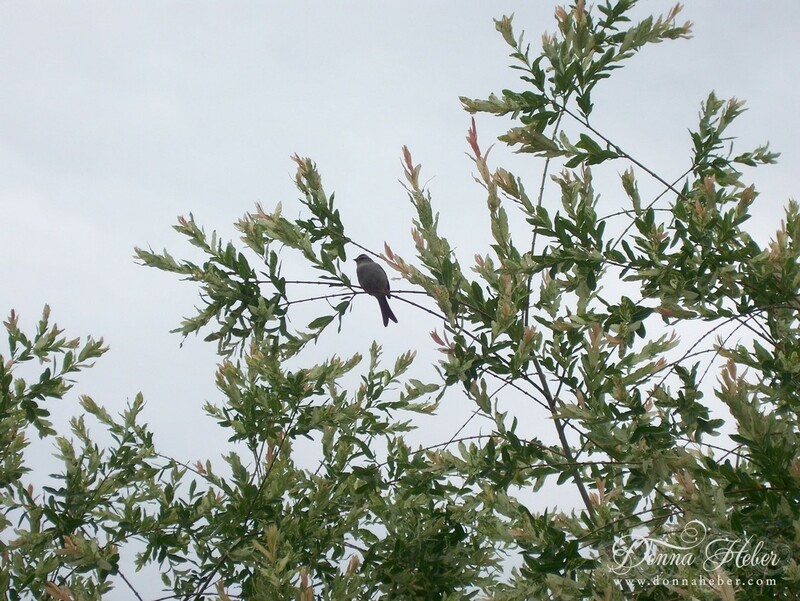 The other day while gardening, I just happened to see a tiny bird come flying out of the tree so you know I had to take a peek! It appears we have a House Finch (Carpodacus mexicanus) living with us. She is gray-brown, whitish below with dark streaks. Her song is a rapid, cheery warble. 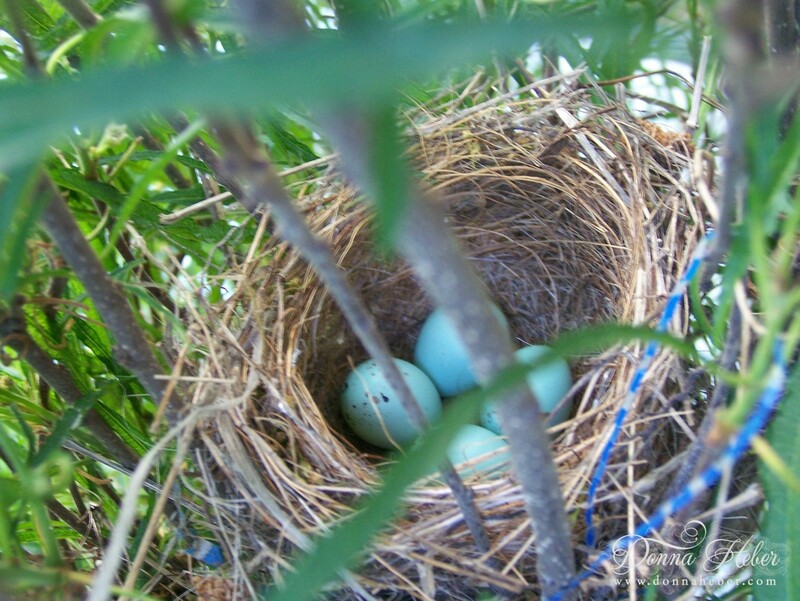 She will incubate the 4 eggs for 13 to 14 days while the male brings her food. The female broods the young for the first few days after they hatch, and the male continues to bring food. The female then joins the male in bringing food to the young. The young leave the nest after 12 to 15 days. 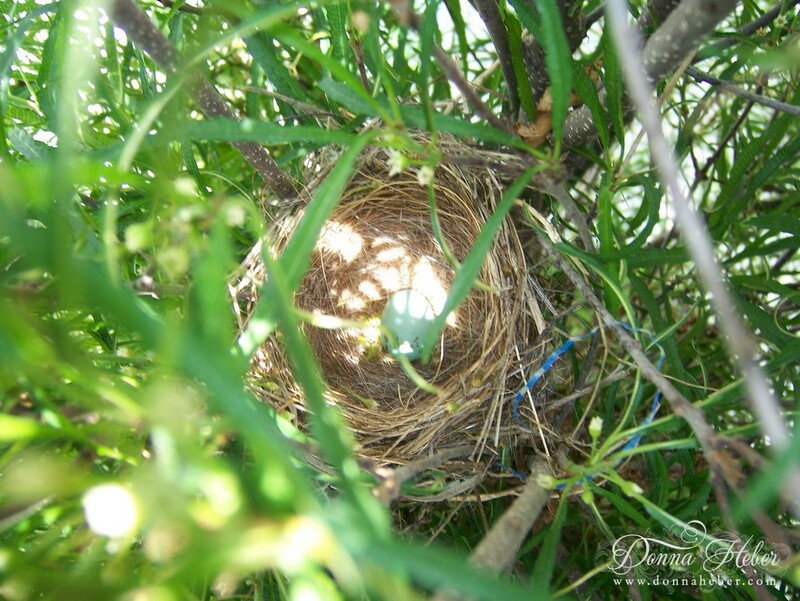 It's amazing where some of these birds pick to build their nests. I always worry when they are that close to the ground. I love to have a nest to watch. Unfortunately I don't have any this year. I will have to watch yours. Please keep us updated. Ahhhh, how sweet! Enjoy the babies when they arrive! How blessed you are to experience nature so closely. Thanks for sharing. hi donna, yesterday I could't leave a comment.hope it's working now. but this is great little birdies in your garden, you have taken beautiful pictures from it. How fun to be able to watch the babies each day! Great photos , always impressed at natures ways. How fortunate you are to be nearby while this parenting duo do their thing. We had a robin's nest under the support beams of the deck but I think a crow paid a visit as we spotted a broken egg with traces of yolk but no chicks in sight, ever. They have nested there successfully previously but the last two years the crows and ravens have caught on. If only I knew how to make the area secure from them and accessible for the robins. Thanks for taking the time to comment on my article about the woman facing 93 days imprisonment for growing vegetables in her front yard. I agree, it is absurd that she should have to go through any of this! 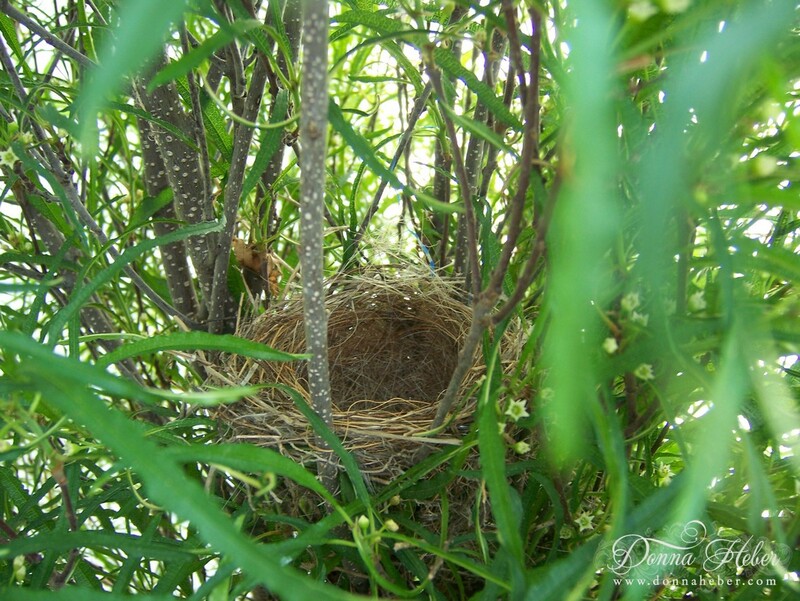 What a wonderful surprise to find a nest so close to your door and then to find out it's a song bird too! We'll be watching for more photo's as the babies grow and a report on how the family is doing ;) Have a wonderful day! You lucky girl! I love watching the birds and hearing the chirping of the little ones. I've observed several baby finches in our garden, but never been lucky enough to see one of their nests.